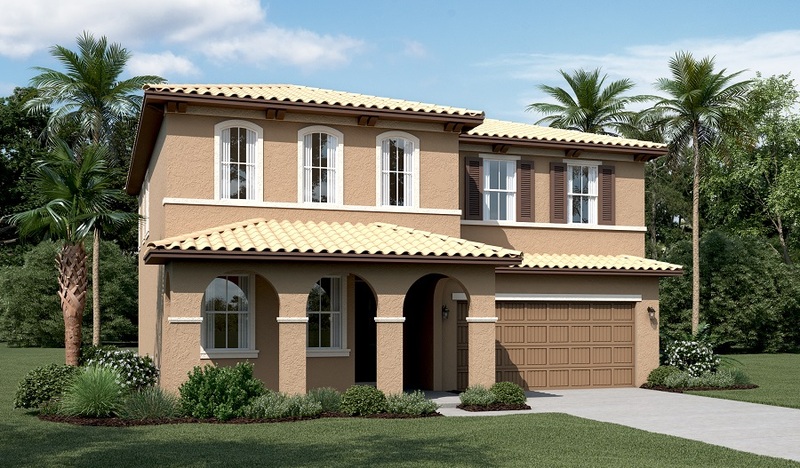 You'll find a convenient main-floor bedroom and full bath at the front of this two-story model home. Additional main-floor highlights include a great room boasting a fireplace and center-open sliding doors that lead to an inviting covered patio. The great room also faces a well-appointed kitchen with an extended island, GE® appliances, a generous walk-in pantry and an adjacent owner's entry with garage access and a built-in cubby storage bench. Upstairs, explore a versatile loft and three additional bedrooms, including a master suite with a soaking tub and shower, plus a large walk-in closet with private access to the laundry room—showcasing optional upper and lower cabinets, a sink and a linen closet.